Wednesday's are different days for us. We start our day usually rushing madly out the door to get to the Foodbank. Somedays we manage to have breakfast before we leave and other times we kinda scrounge for things at the Foodbank (which they are totally cool with). We had a good day at the Foodbank. We had numerous folks show up for assistance and they all left happy. We might have a back up person to help distribute food on Wednesday mornings. WOOT WOOT. We also had time to start organizing food by expiration date. My goodness.. we had lots of tuna that will be good until 2019! And the salmon until 2018. We had about 20 cans that man.. I wish the canning companies would put readable expiration dates on them!!!! It's hard to know what to do with those cans so I generally put them where they will be used up first. After Classics for Kids we turned our attention to GPA Learn and Standard Deviants for Science. GPA is a new math program that we are reviewing that my son was quite excited to try out. So far he likes it, he particularly likes the reward aspect of it. Mom.. Will I get those all the time? I responded with "I don't know, you know as much as I do at this point.". :) He does get frustrated when I don't have all the answers. :) Standard Deviants is the program we used last year to learn earth sciences. My lad enjoyed it. The nutrition class that he's doing right now he is not as keen on. It uses a lot of big words that are quite similar so he's having a hard time keeping it all straight. 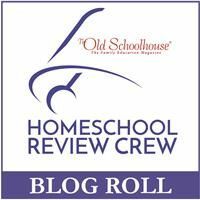 How did your homeschooling go today?